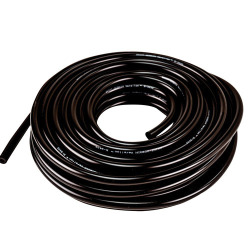 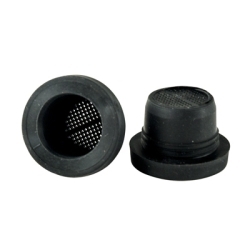 3-1/2" Vented Black Nylon Cap | U.S. 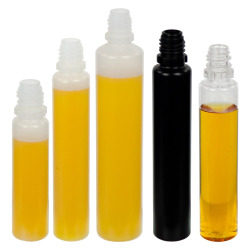 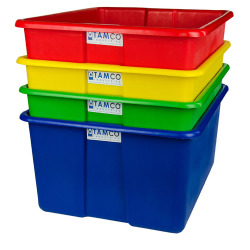 Plastic Corp.
Flambeau Fluid Systems manufactures a variety of caps to accompany their Multi-Purpose Tanks and Express Service Tanks. 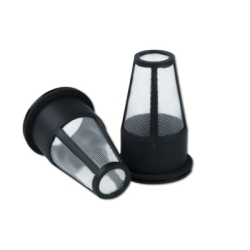 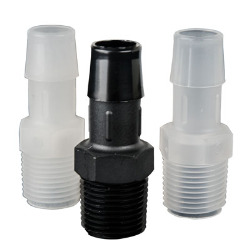 Caps are designed to industry standard neck and thread sizes and also work well on many existing or new tank applications. 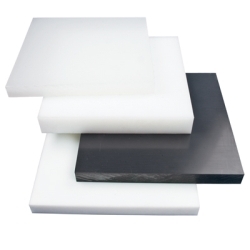 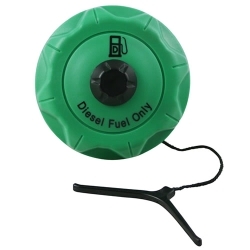 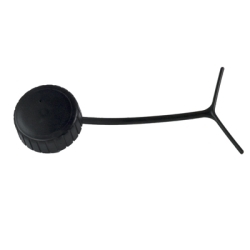 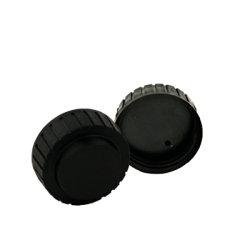 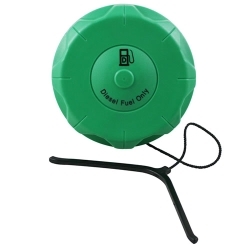 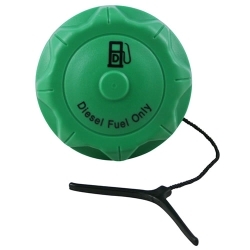 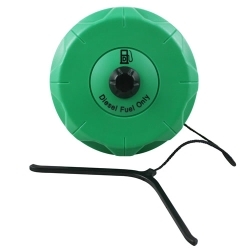 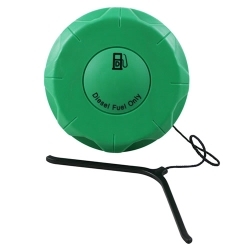 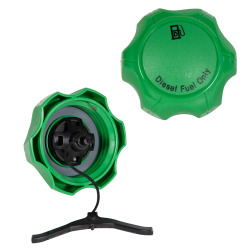 These caps are typically used on windshield washer systems, coolant recovery tanks, hydraulic reservoirs, chemical tanks, fuel tanks, and many other unique applications. 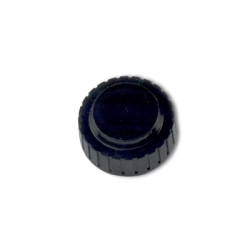 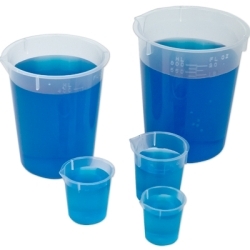 All of our caps are available as vented and unvented. 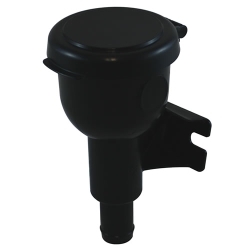 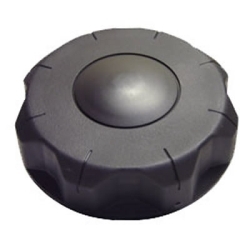 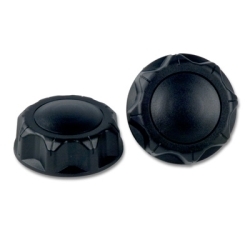 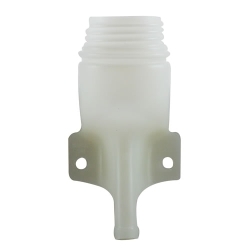 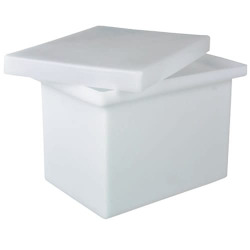 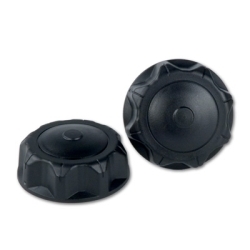 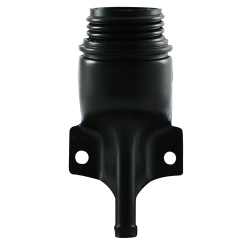 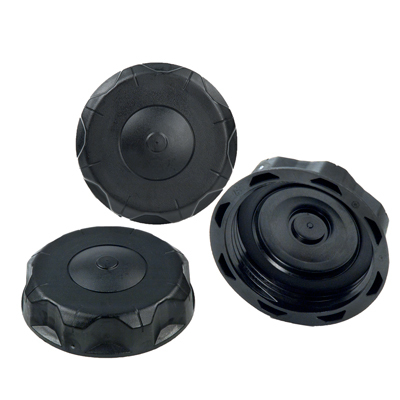 These caps are injection molded and include EPDM gaskets for superior chemical resistance and overall toughness. 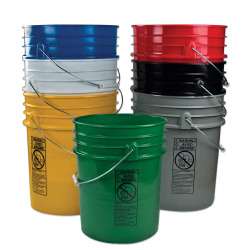 The 1-5/8" Caps fit .25, .50 and .75 quart Multi Purpose tanks, 2-1/4" Caps fit 1-6 quart, 2.5, 4, & 8 gallon Multi Purpose tanks & our 3-1/2" Caps fit 5-7 gallon Multi Purpose tanks.